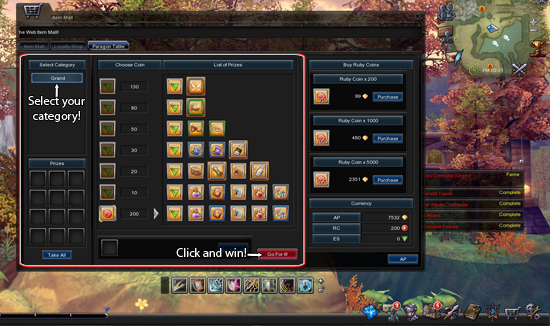 Ready to try your hand at some of the best looking and useful gear Aura Kingdom has to offer? 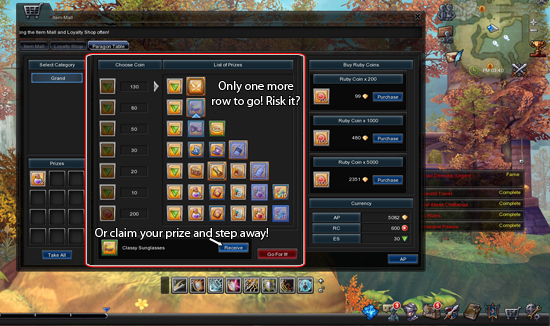 Check out the brand new Paragon Table and claim your rewards! 1. 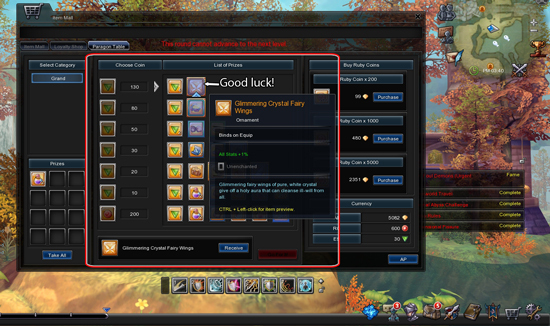 Select the Item Mall icon from the quick links on the user interface in the bottom right. 2. 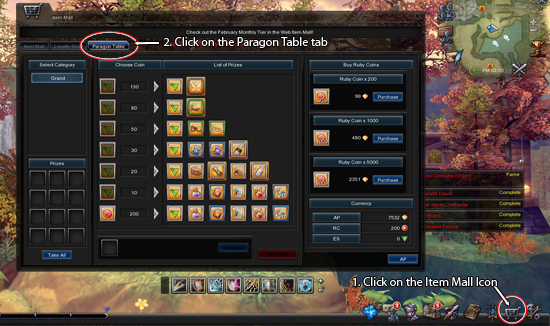 Click the Paragon Table tab in the upper left from the Item Mall window. 2. Ruby Coins can be purchased with Aeria Points in packs. 3. Emerald Shards can only be obtained from attempts in the Paragon Table. 4. Your total Ruby Coins and Emerald Shards can only be viewed here. 3. Click the button to "Go for it!" 1. If your attempt lands on a Emerald Shard, your attempt ends and the Emerald Shards are added to your total. 2. 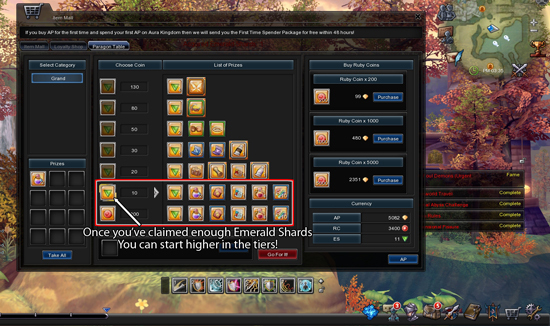 As you attempt the Paragon Table multiple times, you will stockpile Emerald Shards (displayed in the bottom right). 3. The more Emerald Shards you stockpile, the higher you can cash them in at and start on the table. 4. You do not have to pay the Ruby Coin cost if you use Emerald Shards to skip the first row! Use this to bypass lower tiers! 1. The higher you get on the table, the better rewards you can win but the chance to do so decreases! 2. If you land on something you like, be sure to Receive the reward! Keep in mind that your attempt ends once you do and you'll have to start again to win another prize! 1. Stick with it! You might feel it's impossible to get to the top but anyone can do it! 2. Don't forget to Receive your reward! You can't go any higher than the top!